Real Madrid wonderkid Vinicius Junior could reportedly be forced to look for a way out of the club, possibly on loan, if they seal the transfer of Eden Hazard from Chelsea this summer. According to Diario Gol, Real Madrid sources believe Vinicius looks like a dead man walking at the Bernabeu at the moment, with the return of Zinedine Zidane as manager possibly set to kill his first-team hopes. The young Brazilian forward is one of the few positives to take from this season at Real Madrid, but the club’s struggles mean Zidane is surely set to embark on a transfer overhaul this summer. 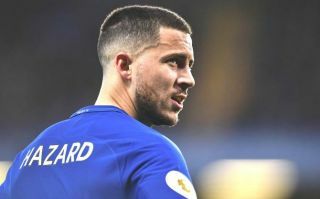 Diario Gol is one of a number of sources to link Hazard with the Spanish giants, as well as possible moves for the likes of Neymar and Kylian Mbappe at Paris Saint-Germain. This would surely mean Vinicius would see a lot less playing time, and the report suggests it could lead to a loan move for the 18-year-old. Vinicius Junior to leave Real Madrid on loan? Still, this is a bit of a shame as the teenager looks a superb talent worth developing for the future, with Madrid so often behind other leading European clubs in terms of promoting youth, leading to spending huge sums of money on players without necessarily getting much of a return on that investment. It would be interesting, however, to see if any top Premier League clubs could end up showing an interest in Vinicius this summer if he becomes available.